An original comic, SIN takes place in a dystopian future derived from a universe similar to ours. With resources scarce, global factions came together after a decade of war to survive under U.E.F. rule in a system established by the QUEEN. Unlikely young warriors begin to emerge in the wake of civil unrest. They fight to make sense of their world and eventually, shape it. 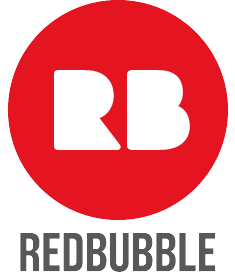 Buy posters/prints of a few of my works on Redbubble! For Commission information visit here! Added my Twitch, although I mostly just stream myself playing games. I will make an effort to upload art videos there though! Drake (Winson) Tsui is a freelance illustrator currently huddled in the cold city of Calgary, Alberta. I spend most of my days glued in front of a computer screen making a living off of 2D game art, pop-illustrations/paintings and a sponsored webcomic, SIN. I have an extensive interest in visual entertainment media such as video games, comics, movies/film, and television. I enjoy walking my babygirl dog and buying collectibles I don't need from said media that don't impress anyone. Favorite visual artist Joe Madureira, Paul Richards, Eric Canete, Chris Bachalo, Marko Djurdjevic, Leinil Yu, Stuart Immonen, Rafa Sandoval, Sara Pichelli, Matteo Scalera Favorite movies Up In The Air, Fantastic Mr. Fox, The Grand Budapest Hotel, Thank You For Smoking, Hot Fuzz, Fight Club, Favorite TV shows The Venture Bros, Rick and Morty, Arrested Development, Community, Mad Men, The Office, Parks & Rec, Game of Thrones, Stargate SG-1 Favorite bands / musical artists OLP, Imagine Dragons, The Weakerthans, Tegan&Sara, Mother Mother, The Arcade Fire Favorite writers Jonathan Hickman, Scott Snyder Favorite games Fallout 3, Borderlands 1&2, SSBB, League of Legends Favorite gaming platform PC master race! Tools of the Trade Wacom Intuos, openCanvas 6, Adobe Photoshop CS3 Other Interests Narrative Illustration, Nihilism, Social & Cultural Anthropology, Nietzsche. 154 deviants said Ya and I follow you on IG! Hey, you should update sin. I love the comic and am dying for more. Your art is truly phenomenal!